What, then, when the Enemy wants to take the Church? The Vatican presents a choice: the world, or Christ. I contrast this frightening comment with those coming from the man immediately responsible for “Cor orans,” Cardinal João Braz de Aviz, the Brazilian prefect of the Congregation for Institutes of Consecrated Life and Societies of Apostolic Life in a speech to religious formation directors in 2015, in which he laid out pretty clearly what was coming in this piece of legislation, 3 years later. In fact, as the National Catholic Reporter piece said, the meeting itself was “unprecedented,” 1200 formators of religious life gathered by the Congregation for Religious in order to hear the new marching orders. 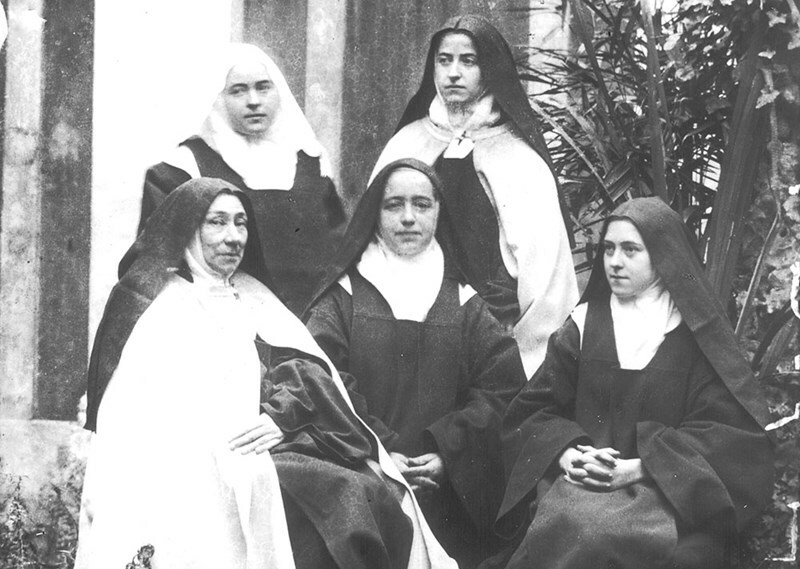 Sister T. continued, saying that the document explicitly derogates the founding intentions of St. Teresa for whom real autonomy was a crucial element of her Carmelite reform. She acknowledges that cloistered orders of nuns have for some time been gathered into federations. These are already doing the Cor orans programme, having shared initial formation programmes for postulants and novices, “ongoing formation” courses for professed nuns, a federal abbess or president who oversees all the federated monasteries. Their funds are already interconnected and they have regular meetings with and input from the male branches. In 2015, Carmelite monasteries received a questionnaire from the Father General Fr. Saverio Cannistra, a Mexican and devotee of Liberation Theology, to ask if they wanted an International Commission of Nuns to oversee the female houses place of the Carmelite Fathers. This suggestion was rejected, to the annoyance of Maccise. Maccise also promoted the idea of having no superiors in the individual monasteries, but only federation presidents and shared formation of novices. The push for these changes is still on, however, under the current General, an Italian, Saverio Cannistrà. Given the Marxist leanings of the recent crop of Fathers General, it seems clear that what can be expected by “ongoing formation” is, in essence, some form of political indoctrination, sprayed over with a micro-thin layer of pious language. She points to the extended length of formation for new nuns - previously six years for Carmelites and under Cor orans now nine years, as absurd, saying it will tend to impede new vocations. Another nun has written saying that they cannot conceive of what these people mean by “ongoing formation”. Judging from other documents from already-federated Carmelites in Europe, it means in practical terms going in groups away from the monastery for days or weeks at a time to take “courses” together with novices from other monasteries. The content of these course, of course, is to be formulated by teams of “experts” chosen by the Federation. In other words, it is the “intense and fruitful path” of the last few decades of the Church since Vatican II that all monasteries of cloistered, contemplative nuns must now take. Anyone who imagines that this document’s authors will allow leeway, that there will be dispensations forthcoming for traditional or “conservative” communities from timid and cowed Vatican bodies like Ecclesia Dei, has failed to pay attention. In the last 20 years, “conservative” Catholics have pointed to the flourishing – mainly in the US – of some groups of sisters who had turned away from the “intense and fruitful path” and re-established some of the traditional accoutrements of the religious life. They point to the Nashville Dominicans, the Missionaries of Charity, the Poor Clares of Alabama, where there are at least habits, (some) chant, common life and common apostolates. But it is these signs of refusal of the programme that have infuriated the despots of the New Paradigm who would not rest until every last individual house of religious life was co-opted, subverted to the new ideology. The little green shoots of hope that the faithful Catholic world so rejoiced to see are to be stamped back into the frost of Vatican II’s perpetual winter. In the continuing analysis that will follow this article, we can see that the purpose of this document is to fulfill the totalitarian fantasies of the anti-Catholic revolutionaries, now nearing the end of their lives 50 years after their initial near-triumph. Its intention is mopping up; either to herd the remaining recalcitrants – those who have resisted even to the softened and conciliating degrees typical of “conservatives” – into the full post-conciliar “reform” instituted by the revolutionaries in the 1960s – or to close them. The thing is, the result will obviously be the same either way. The whole world has seen what happens to religious life that takes on the VaticanTwoist New Paradigm. I have just received a document that was issued privately summarising the findings of a meeting of federated Discalced Carmelite nuns in Europe in 2009. The numbers are absolutely dismal. This is the death spiral. And it is precisely this “intense and fruitful path” taken by nearly all the Catholic world’s monastics since 1965 that Cor orans is attempting to force on the very, very few holdouts.